A little time spent along the tracks at De Pinte resulted in this photo of a grain train hauled by a BB36000 locomotive. I didn’t know this would be my last photo of this kind of engine in Belgium, but until now they haven’t reappeared on Belgian tracks. 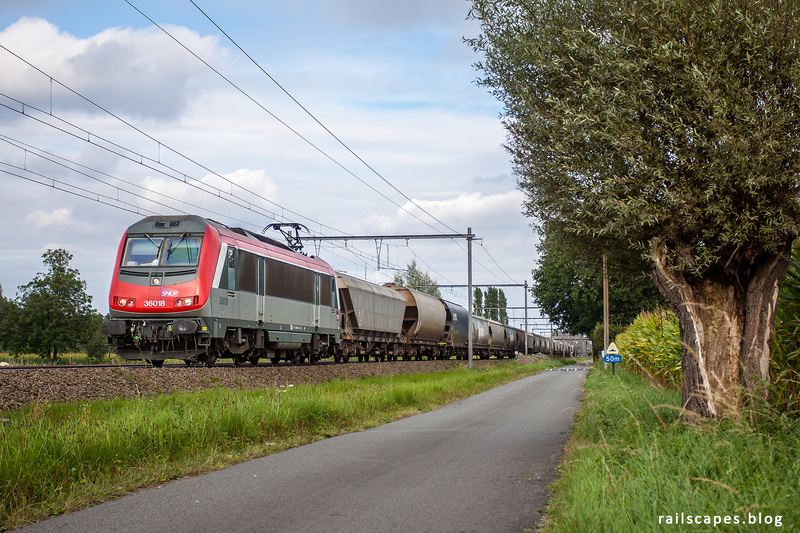 Who knows what the future will bring… I definitely appreciated seeing these cousins of the SNCB/CFL 13/3000 series.